NEW L’Oreal Paris True Match Lumi Cushion Foundation. It took a few trips to find this little baby because they were either flying off the shelf or have yet to hit stores when I was on the hunt. I am a sucker for packaging and I had to get it. Lucky for me I grabbed the right shade and its a True Match. Pun intended. Its light weight and felt like I was doing something good for my skin unlike most foundations. This foundation came with an thin sponge applicator I was not too impressed with it at first look. But when I shut my thoughts down and gave it a chance – it was amazing. I tried the technique I found online and it didn’t do that will in my video. I liked the swiping or dragging method better. As far as it being advertised as sheer to medium coverage – I could maybe see this being possible if you let the layers dry and you did pat. If you do not have problematic skin, one layer is enough and it looks beautiful. CLICK HERE to watch this foundation in action! I was so relived to find a product that was not only from the drugstore, but one that improved the way my skin looked, matched and went on effortlessly. If you have tried it…let me know in the comments below and share your thoughts! I was so impressed with this foundation that it amazed me. Im sure you will be seeing it a lot in drugstore tutorials to come. Thanks for reading! Contouring is all the rage right now. Most women who turn to Youtube or Pinterest are looking to look better, feel better, and live better. I love makeup beyond the superficial transformation. When you look good, you feel good, you live better – with confidence. There are so many who also don’t have time or the money to spend on a handful of products to transform your features! I found something at the drugstore that will get the job done! The Super BB #InstaReady™ Contour Trio BB Stick in Bronze Trio is the bomb! (Omg I sound like Im trapped in the 90s and embarrassed my son all in one sentence lol). I just did a video showing you how to apply it. It sounds silly but all you do is drag it on your face haha. This product is super creamy and blends effortlessly. I don’t obsess over products often and I am a creature of habit – but this is really one you have to try. Have anything you want me to try and review? Leave it in the comments below! Thanks for reading! 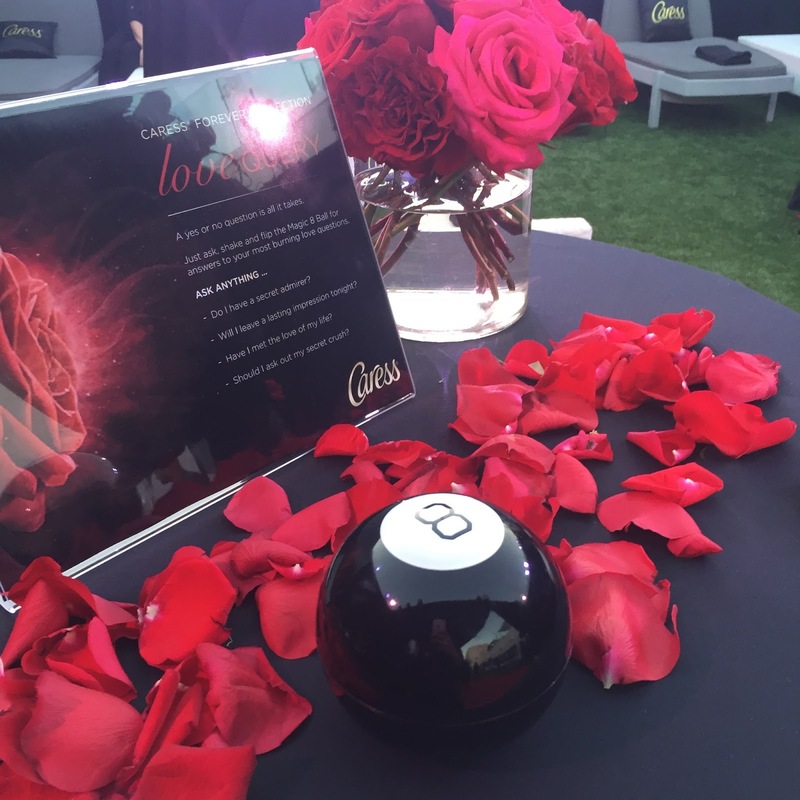 I was invited to attend this year’s Latina Magazine Hotlist Event in partnership with Caress. 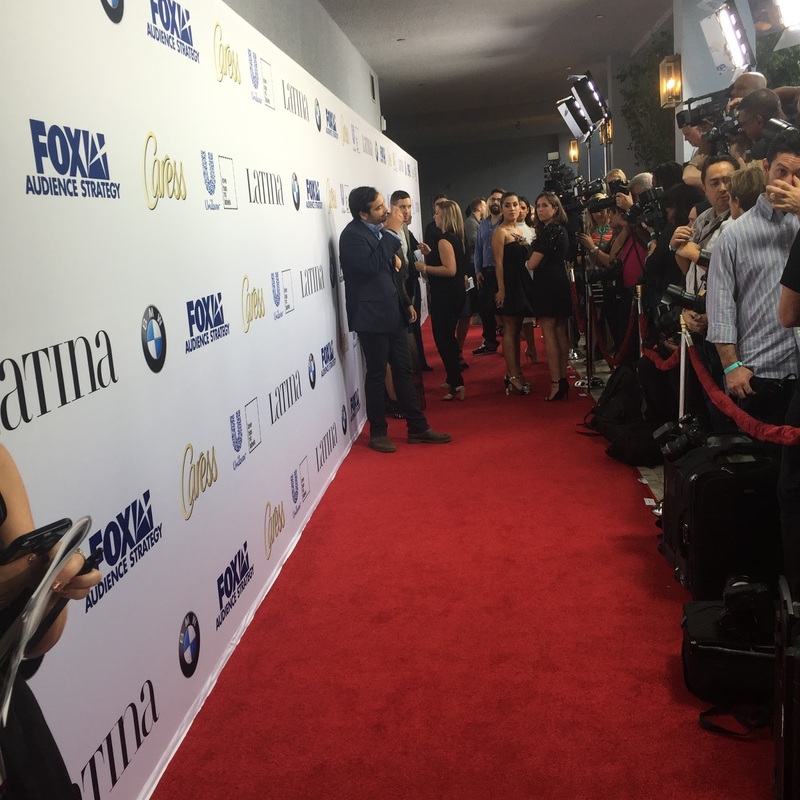 I had the opportunity to spend the day getting Glam for this celebrity packed event! My schedule started with hair and makeup services at the Alex Roldan Salon & Spa. I asked for big hair and smokey eyes – and that is just what I got! I could not have been happier! 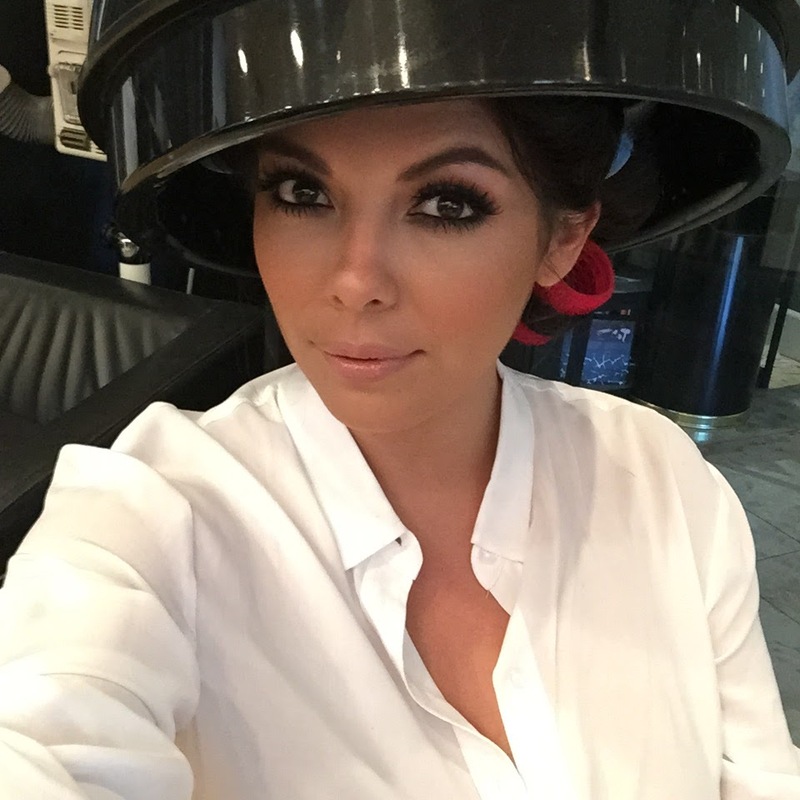 In true blogger fashion I had to sneak in a shameless selfie under the dryer, haha! Here is what my hair looked like after the rollers were removed and set with hair spray. Every time I get my hair done I learn a new way, or a new technique that I can take home with me and share with all of you! Eye spy with my smokey eyes Living Mi Vida Loca‘s Patty photobombing me! She was another influencer hired by Caress to cover this event! I am convinced I have a lazy eyebrow…one is always sleeping and one is always saying hi! 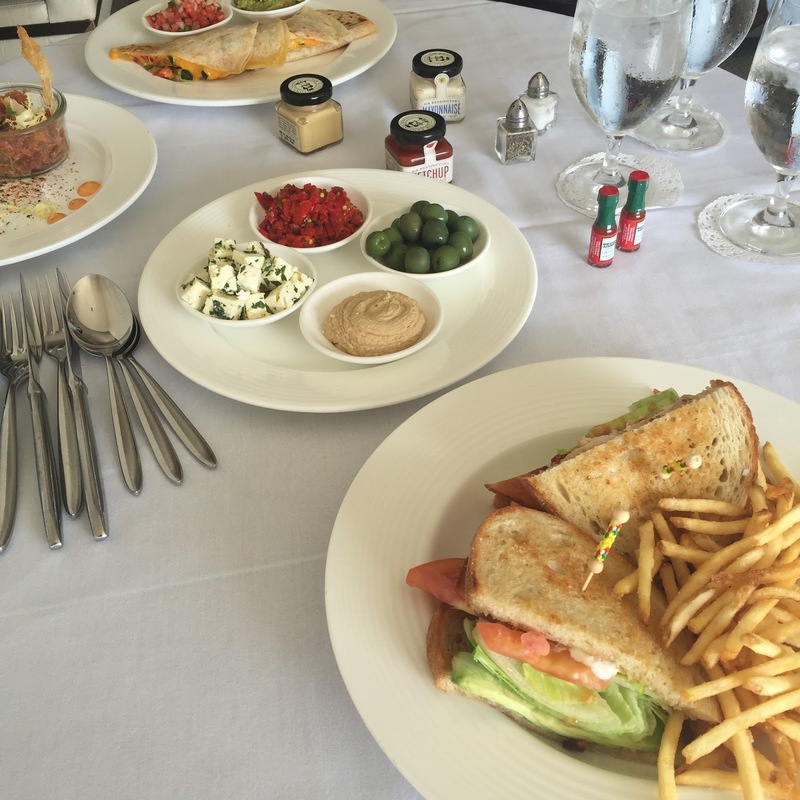 I was stunned to learn that Caress booked us a room to change into, relax and enjoy amazing food before the event at The London Hotel West Hollywood. After our fancy in room dining it was time to suit up and do any finishing touches before the red carpet began. Here I am posing for a quick instagram photo with my bff Carly. I have a long 15 year friendship with her and am so blessed to share this experience. Funny story about my belt: When I went to Shop the Runway‘s boutique to see their pieces in person – I fell in love with the belt the owner showed me. Unfortunately it was broken and they would not get any more in stock for a few days. Good thing I am a beauty macgyver and bought the belt anyway! I was able to use pieces from an old necklace to make it work! Woot Woot! The clock struck 6 and we took the elevator down to the red carpet set up out side of our hotel and home of the event. It excites me to see all of the reporters and photographers who lined up eager to snap pictures of our fave celebrities! After we checked in as VIP, thanks to Caress we had the same bands as A-Listers, we entered the rose covered rooftop. I was over the moon to see magic 8 balls – a ball you shake while asking it a question and it gives you answer. As a child, and till this day, I will not stop shaking it till the answer is what I wanted to see haha. 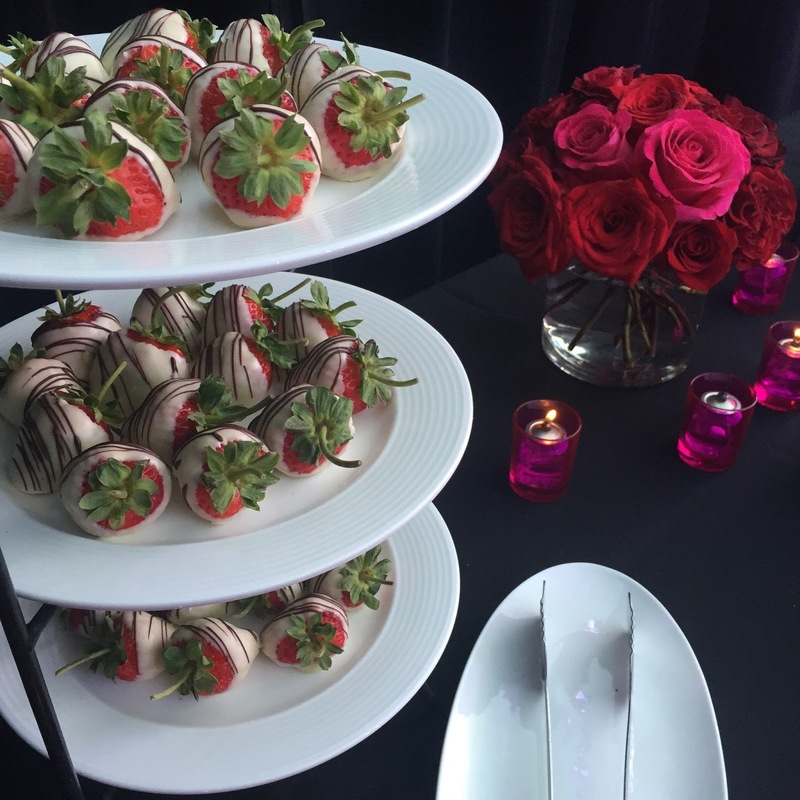 Leave a comment if these strawberries made you drool! 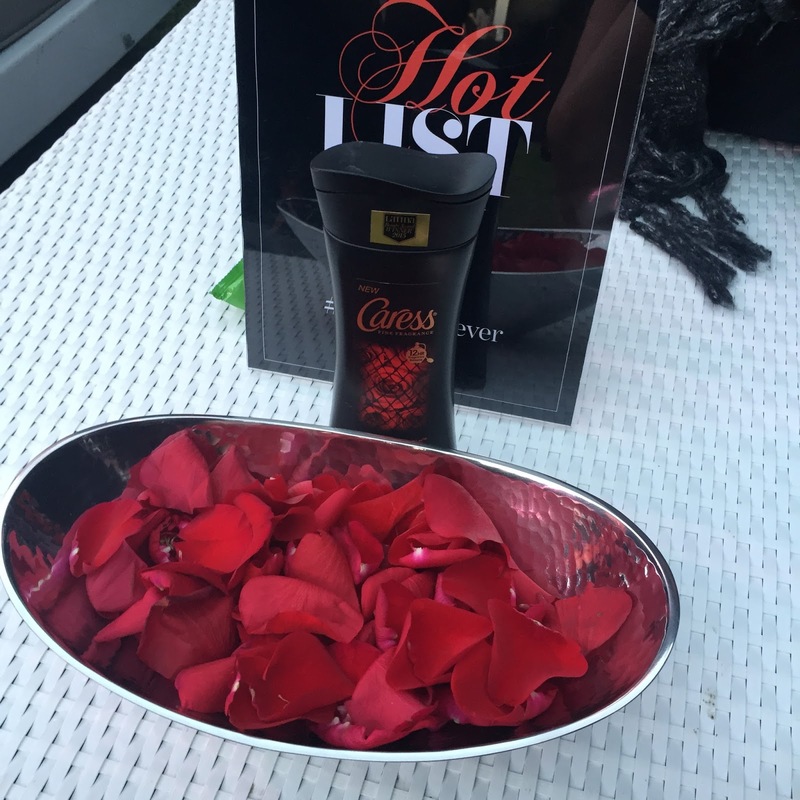 Before I ended my night, I stopped in the Caress lounge to take a peek at their new products and enjoy a hand massage! The New Caress Forever Collection is the worlds first body wash with fragrance touch technology. The pearls in these body washes release bursts of perfume with every touch of your skin! The fragrance lasts for up to 12 hours – imagine being able to freshen up the scent of your body by simply rubbing your arms and legs! Needless to say, this was the best hand massage ever! 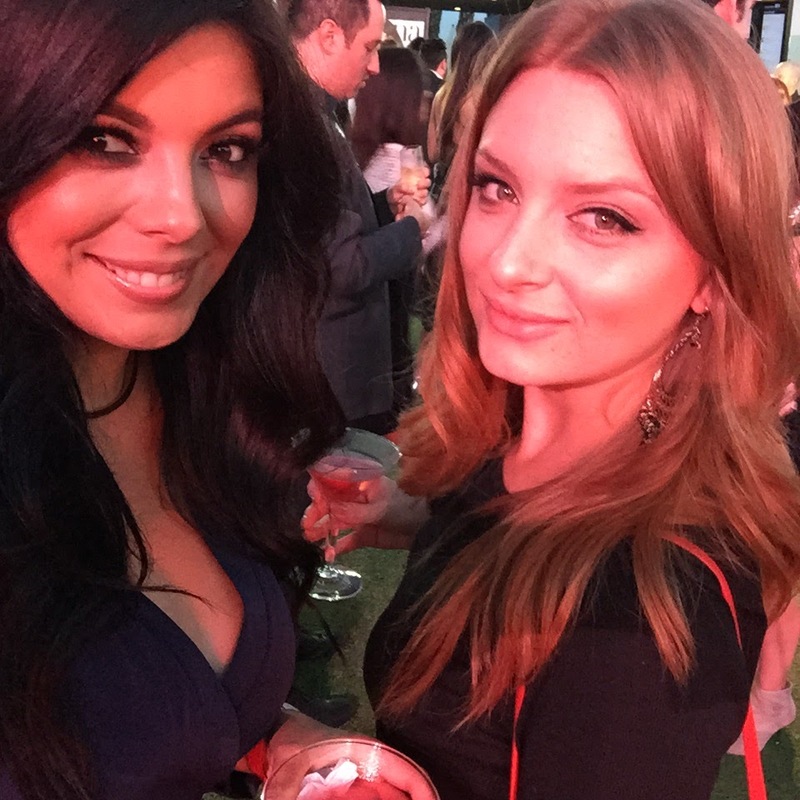 After tons of selfies and networking, the Latina Magazine Hotlist event was a success! I am so grateful to have partnered with Caress with this fabulous opportunity! I don’t know about you, but I can’t wait to get my hands on a bottle – or 2 – of Caress Forever Collection!